Madison might be the best-kept secret in the Midwest. The capital of Wisconsin consistently lands on lists touting the best, healthiest, and safest places to live in the United States. It’s surrounded by lakes and full of an extensive network of parks and trails. It also attracts foodies, liberals, and students. Now—between the frigid winter and the humid summer—is the perfect time to check out Mad City. The isthmus in between Lakes Monona and Mendota was swamp land until Madison was founded in 1829. The city named after James Madison, the fourth President of the United States, quickly became the capital of first the Wisconsin Territory (1836) and then the state of Wisconsin (1848). The University of Wisconsin, its largest and oldest public university, was established the same year that the state was formed. It grew with the city. 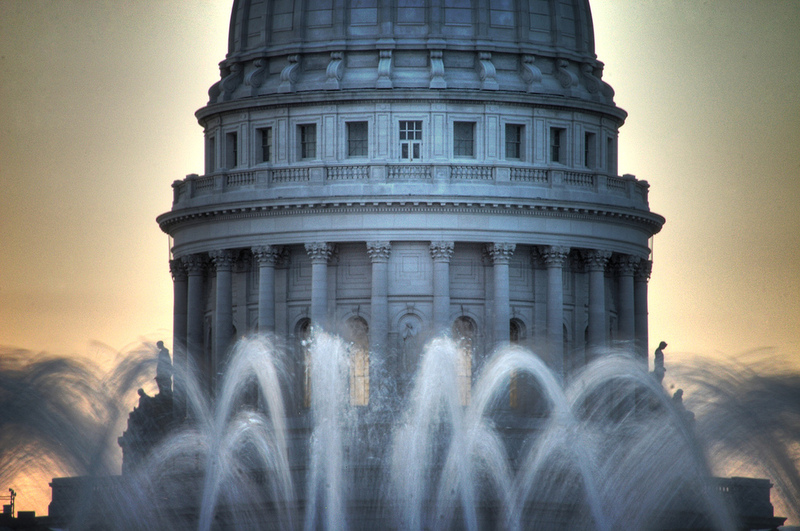 Today, Madison is the second-largest city in the Badger State. The Wisconsin State Capitol is the center of the city. Madison’s tallest building, whose dome was modeled after the United States Capitol, sits on the Madison Isthmus’ highest point. It houses the state legislature and supreme court, as well as the governor’s office, and is visible from just about everywhere. Aptly named Capitol Square surrounds the building. It’s home to the largest producers-only farmers’ market in the country and Concerts on the Square by the Wisconsin Chamber Orchestra during the summer. State Street, a pedestrian zone, streams out from the square. The main thoroughfare is lined with restaurants and cafes, bars and breweries, independent shops and buskers. It leads to the University of Wisconsin-Madison’s historic campus. Camp Randall Stadium is part of that historic campus. It’s been the home of Wisconsin Badgers football since 1917, making it the Big Ten Conference’s oldest outdoor stadium. Your hotel is just steps from the now-quiet venue. 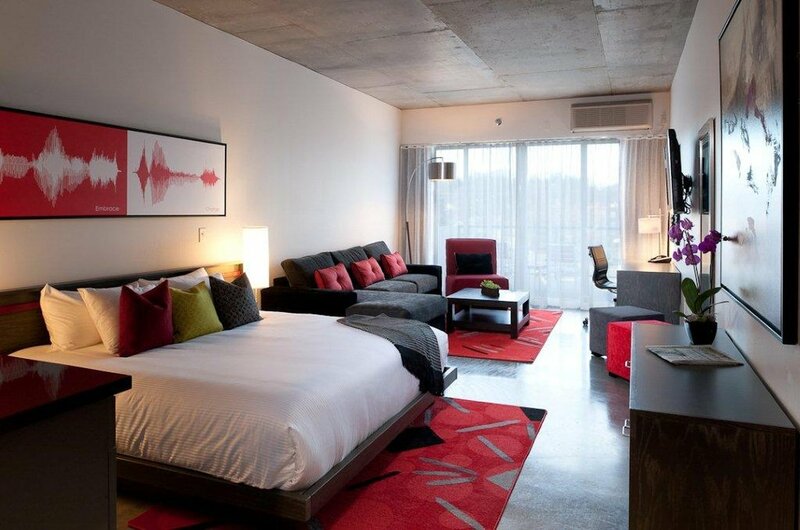 HotelRED is Madison’s first boutique hotel. It’s bright, hip, and both pet and eco-friendly. Original artwork lines the hallways and the suites. Pops of Badger red stand out against the sleek gray furniture. There are even red glass sinks in the bathrooms. While the honor bars feature local favorites, including Wisconsin craft beer, Yahara Bay Distillery rum, and Nueske’s beef sticks. The Wise is downstairs. The casual bistro serves elevated comfort food sourced from dozens of Wisconsin purveyors (Sassy Cow Creamery cheese curds, anyone?). There are board games at the bar, couches on the patio, and one of the best happy hours in the city every afternoon. Five beers, wines, cocktails, and appetizers are just $5 each. Then there are the complimentary activities. You can rent a bike through B-Cycle, right outside the front door, to explore the University of Wisconsin–Madison Arboretum or the Southwest Trail. Or you can borrow a boat, a kayak, or a paddleboard on Lake Wingra, just a few blocks to the south. It’s also where you’ll find Henry Vilas Zoo, whose Arctic Passage exhibit was recently named one of the best zoo exhibits in the country. While another lake spot, Memorial Union Terrace on Lake Mendota, offers brats and beer as the sun sets. You immediately understand why so many people never want to leave Madison. Beautiful city with loads activities to do!